Disabled persons can experience liberation and empowerment by becoming their own boss and working at home. Set your own hours, work at your own pace, and choose work you enjoy doing. Learn 12 different ways disabled people can work from home, and where to access programs, services, and funding. I learned a long time ago, self-employment is where it's at. Once I started working for myself there was no turning back. Self-employment lets you work flexible hours and at your own pace. There's no manager looking over your shoulder or politics with fellow employees. If you choose to work from home, your workplace is also your happy place. And nothing beats the commute to work—from your couch to your desk! Becoming self-employed was a life-changing decision for me. But there are thousands of people who could benefit even more than I did from becoming their own boss. If you're living with any kind of disability, getting and keeping work can be a huge challenge. Strict hours, the need to travel to and from the workplace, and inaccessible work environments are all common barriers stopping people with disabilities from becoming employees. 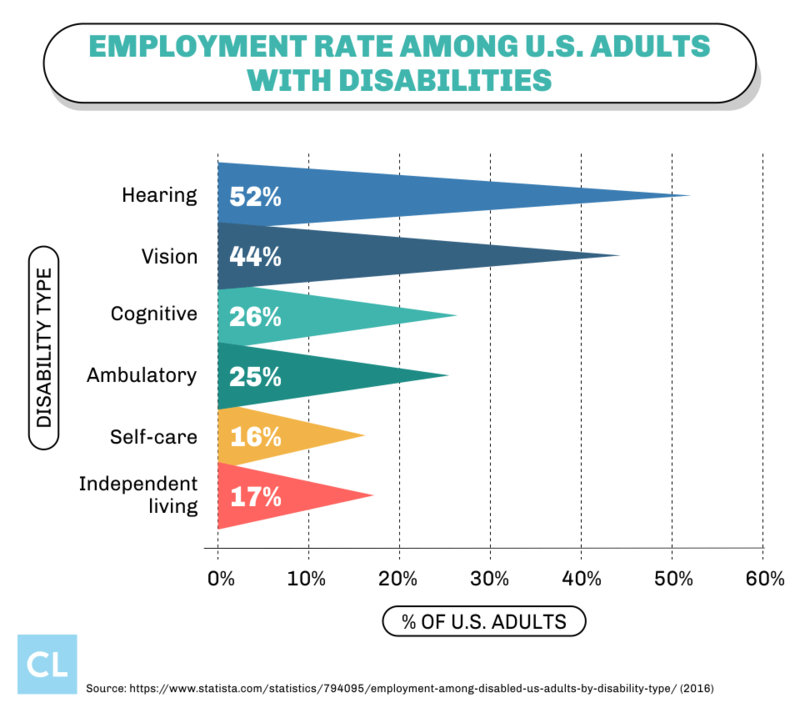 As a result, U.S. Bureau of Labor statistics reveal that people with disabilities are more than three-and-a-half times less likely to be employed than non-disabled people. Fortunately, today it is more possible than ever before for anyone—especially people living with disabilities—to become self-employed. Self-employment can provide income, assets, a sense of fulfillment, and other elements of self-sufficiency to people with disabilities who find it hard to thrive in traditional work environments. If you're a person living with a disability and you're interested in achieving the dream of working for yourself from your own home, you're in luck! Here we're presenting 12 of the best ways a person with disability can become self-employed and work from home. Once you feel the joy and empowerment that comes from being your own boss—and working and earning right from your home—I think you'll feel the same way I did: There's absolutely no turning back! If you're one of the many people who are struggling to get employed, you'd probably take any work you can get. The best part of working for yourself is you get to choose what you do rather than have someone choose it for you. The first step you need to take toward your goal of working from home and being your own boss is to pick the job you want. Don't put earning tons of money first. Fortunately, all Americans diagnosed with disabilities are able to access SSDI (Social Security Disability Insurance) benefits. People with disabilities receiving SSDI payments can still earn employment income. However, the amount they earn gets deducted from their monthly benefit check. The best part of being on SSDI and working for yourself is your monthly income will always be topped up to the income level the SSDI benefit guarantees. If it takes a while before your business becomes lucrative, you've got a safety net. This means that when you're choosing your career path as a self-employed, home-based worker, your SSDI benefits should relieve some of the pressure to make a lot of money right off the bat. Work at home doing something you enjoy. The other key is to choose a form of home-based self-employment that matches your skills, abilities, and interests. Here are 12 of the best self-employment opportunities people with disabilities (or anyone else looking to set up a home-based income stream) can choose from today. The single biggest thing that's made it easier for anyone—especially people with disabilities—to make a living without leaving their house is high-speed home internet. Technology designed for people with disabilities to use computers—like voice-activated typing or magnified displays—means the sky is the limit for doing online jobs. 1. Make stuff and sell it online. There's no limit to the things people can create using their skills and imagination. If you're great at a hobby such as making crafts or knitting, you could turn it into your job. You can set up a website to sell your items (known as an e-commerce site) and ship them to your customers via mail or a courier. 2. Become an online reseller. By registering as a seller on sites like Amazon and eBay, you can resell all sorts of items to a large pool of potential customers. First, think of a product you really like and see if you can find a supplier who can sell you a lot of it at a wholesale discount price. Sell the product online at the full retail price and keep the profits. For example, if you live in a place where a lot of maple syrup is produced, you could buy maple syrup bottles by the case or pallet at $2.00 a bottle. Sell the bottles one-by-one online for $6.00 (plus the cost of shipping) and you've tripled your money. Although keep in mind the online platform could charge a fee or take a cut, and there are always those annoying income taxes that'll cut into your profits. But even still, reselling has proven to be a solid way to make money online. 3. Complete surveys and market research for cash. Believe it or not, there are companies and websites online that will pay you just for sharing your opinion. Sites like Survey Junkie, MySurvey, and Ipsos i-Say all pay people for completing surveys about the products they use, their behaviors, and their beliefs. Consumer data lets companies decide on new products, advertising campaigns, and strategies, so it's very valuable. You can complete as many or as few online surveys as you want and get paid from as little as $1 (or less) to as much as $50 (or more) for each survey. Some of these companies will also pay you for searching the internet or trying a product or service. 4. Freelance as a digital content producer. Whether you're good at graphic design, website coding, or writing blog posts, you can get paid for your talents without needing to leave your house. Some sites like Fiverr connect digital designers with companies all around the world in need of websites, logos, and online promotional materials. 5. Get paid to talk by becoming a virtual call center representative. Are you a "people person" who loves to talk and give people excellent customer service? If your idea of the perfect job is sitting at home on the phone talking to people all day, you can get hired as a virtual call center rep. Some people just seem to be born with a natural ability to take broken things apart and put them back together fixed. Having a disability doesn't mean a person can't be mechanically gifted. If you're a Mr. or Ms. Fix-it with a strong sense of technical know-how plus an existing collection of tools, there are lots of items people can bring to your at-home repair shop and pay you to fix. When you need replacement parts you can usually order them online and often have them delivered within the week. 6. Small and big engines can rev-up profits. Although everyone with a home has a lawnmower or a weed-whacker, hardly anyone knows how to fix one themselves. Fixing lawnmowers, chainsaws, and other small gas engines is a skill anyone can learn easily through an adult education program. Car owners are always on the hunt for a new auto mechanic who can do a great job and not charge them an arm and a leg. If a full-on mechanic shop is too much, you could specialize in something specific where people come to you every year (like seasonal tire changes or rust-proofing). 7. Smartphone and computer repair is a huge industry. Smartphones are another item everyone has but hardly anyone knows how to fix. You can learn how to replace cracked screens for starters, then build more skills and expertise like changing batteries and SIM cards or restoring phones infected by viruses. Anyone who's stared at the dreaded "blue screen" knows computers are regularly in need of maintenance or repair. By learning how to replace hard drives, install operating systems, and increase memory, you could make a living repairing computers out of your garage or basement. 8. Fix bikes up and sell them. It's fairly easy to find a cheap, used bicycle at a garage sale or online. Buy used bikes and tune them up so they're as good as new, then sell them online for a tidy profit. For those who love cooking and sharing food, there are huge opportunities for making money by running your own food-based home business. You can design your kitchen around your specific abilities and preferences to create the perfect, ultra-accessible working environment. 9. Serve food to the public out of your home. Many people who own cafés, restaurants, catering companies, or coffee shops live on the same premises as their establishment. If you're the type of person who enjoys serving customers and interacting with the public, one of these food service businesses could be a great fit. 10. Create food products to sell at stores or farmers markets. If you're into food but not so much into running a restaurant, you could set up a commercial kitchen in your home. Since delicious, freshly-made local food is always in demand, you could be cooking and selling everything from your grandma's soup recipe to your kids' favorite muffins. If you're more of a caring person than a techie, foodie, or mechanic, there are some wonderful home business opportunities to consider. 11. Love kids? Try offering childcare services. Many moms and dads today don't have the luxury of working for themselves or at home. You can help families juggle the demands of work and children by offering daycare or babysitting services. You'll get to play with babies and kids every day, and the best part is you give them back to their parents every night. 12. Love animals? Try providing pet services. For those who are more inclined toward furry four-legged friends, there are a bunch of pet-related jobs you could do from home. If you've got the room, pet boarding (or even pet breeding!) could be an option. Pet grooming and pet sitting are two other types of pet care you could provide from your house or yard. The government has recognized the untapped potential for many disabled citizens to become self-sufficient and contribute to the economy through self-employment. Navigating employment and labor programs for people with disabilities can be confusing, and it can be hard to know where to begin. To help with this problem, the U.S. Department of Labor has a specific arm dedicated to supporting opportunities for people with disabilities to access employment. It's called the Office of Disability Employment Policy (ODEP) and one of its mandates is to support disabled Americans working for themselves. An entry-point to a network of programs and services. ODEP does this mainly by connecting disabled folks with different programs and services available to help them achieve home self-employment. 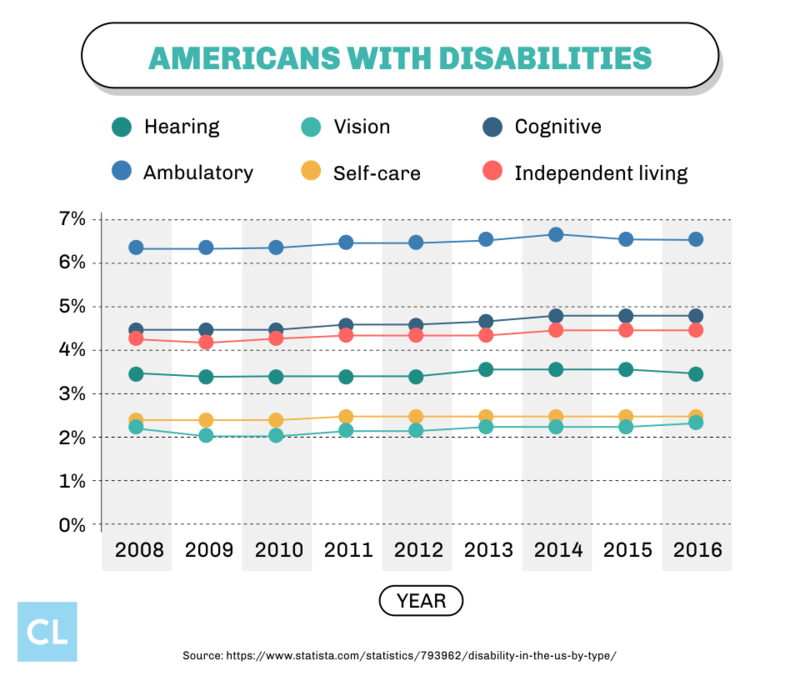 There are multiple forms of support for disabled Americans to become self-employed and work at home. These include vocational counseling, financial literacy training, coaching and mentoring, creating a business plan, navigating SSDI benefits, and getting licenses or permits. A great place to start if you'd like to access any of these programs or services is the ODEP website's information and links page for Self Employment & Entrepreneurship. JAN is a great place to start. Among all the sites listed by ODEP, one of the best resources for disabled people seeking to start their own home-based business is the Job Accommodation Network (JAN). JAN staff offer case-by-case support tailored to a person's state and includes guidance on planning, funding, and developing a new business. Start-up funds are available. Whether you need to purchase a computer for a new online gig or renovate your home to turn it into a café, you're going to need some money to get started. The ODEP page includes a link to a site for Small Business Association loans, which are small business loans offered by traditional lenders but guaranteed by the SBA. This helps a new business get funding it otherwise might not have qualified for (for example, if the owner has bad credit) since there is no risk for the lender. The rates and fees are competitive with other sources for personal loans that are not guaranteed. Of course, if you urgently need more funds to kickstart your home biz or renovation project, an alternative you can look into is a personal loan. CreditLoan has been around since 1998 and we've helped more than 2 million customers and we know we can help you too. If you're living with a disability and struggling to get hired, your best option might be to work for yourself. Becoming your own boss and working from home is an empowering and liberating experience. Financial freedom, as well as the freedom to work your own hours at your own pace, is a priceless feeling. Doing work you actually enjoy in an environment designed around your abilities and strengths is a path toward self-fulfillment and a sustainable lifestyle. Now that you know some of the cool things you can do to become self-employed, take a step back and ask yourself which of these top suggestions apply best to you. Take some time to decide on the job you'd like to pursue. Then access the programs, funding, and services available for entrepreneurs living with disabilities, and get to work! Are you a person living with a disability who is self-employed?